NJR Steel were attacked by a vicious strain. Here's the story of how their IT Manager didn't spend a cent. 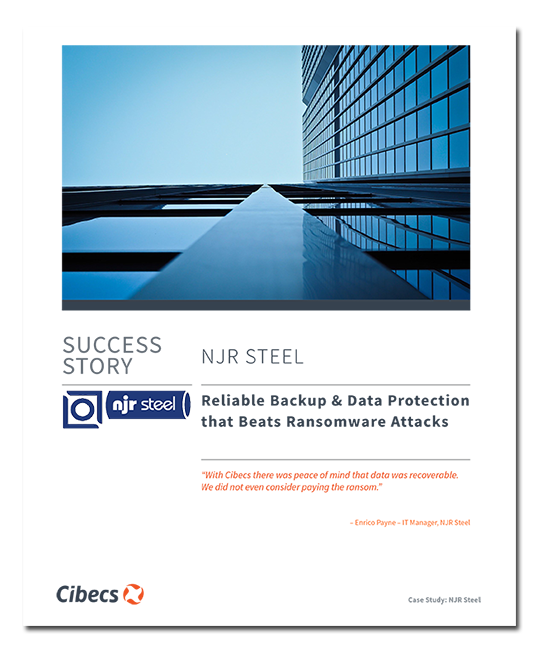 With 23 branches across South Africa, NJR Steel faced a problem, they needed a solution that removed the need for user-managed backups while also giving them the best in Data Loss Prevention and protection against Ransomware attacks and other data loss threats. The ability for the solution to fulfil these needs while providing exceptional support, is why they chose Cibecs. Defeated Ransomware without paying the Ransom or losing data.